Arsenal have reportedly made a surprise enquiry about the availability of Tottenham midfielder Dele Alli in what would be a stunning move. The 20-year-old enjoyed an impressive season last year under Mauricio Pochettino, scoring 10 goals and providing 11 assists as he helped them to a third-place finish in the Premier League. Further, he went on to represent England at Euro 2016 this summer, albeit with less success, and has continued to establish himself as one of the top prospects in English football. However, La Gazzetta dello Sport journalist Emanuele Giulianelli has claimed on Twitter that the Gunners have asked about him, with The Express adding that it would take a significant bid to prise him away from White Hart Lane given that Spurs chairman Daniel Levy has previously suggested the youngster wouldn’t be sold even for £100m. 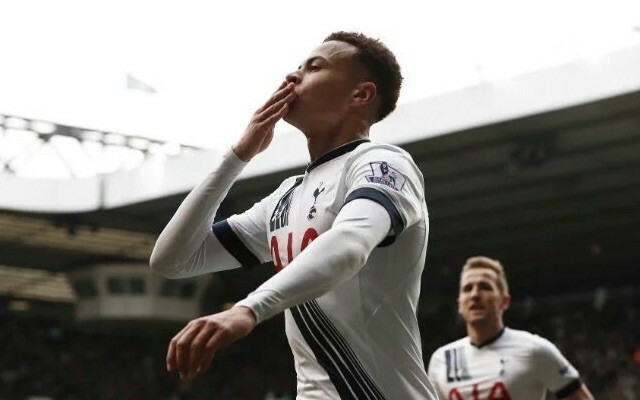 Arsenal have asked Tottenham info about Dele Alli. The response to Giulianelli’s claim hasn’t been kind from most supporters on Twitter, with many questioning his source and the suggestion that Arsenal and Tottenham, bitter north London rivals, would do business over one of the latter’s most prized assets. Although he does have a strong track record of breaking transfer stories that go on to become a reality, this one certainly appears rather fanciful. It’s highly unlikely that any such deal will go through this summer as Alli will continue to form an important part of Pochettino’s plans moving forward. As for Arsenal, if there is truth in the claim, then Wenger will more than likely have to consider other options as he looks to add more new faces to his squad following the arrival of Granit Xhaka last month.